What’s tweet worthy, or tweetable in your world? Since tweeting became mainstream in 2011 and even for many years before that, techies have been inventing new t(w)erms related to Twitter. I tweet (post) to my tweeps (Twitter followers) several times a day and there are several tw words that have been used to brand new Twitter related products. Twitalyzer, for analyzing your Tweet stream, Tweet This, a bookmarklet for sharing posts on through Twitter, Twitteriffic, a Twitter client, Tweety, another Twitter client, Tweetdeck, a Twitter client/app for pro Tweeters, Twellow, a place to connect with other Twitter users, Twitzip, a zip code based Twitter messaging service, and the list goes on and on. One of the most valuable things about Twitter for me is the knowledge sharing. People share links to interesting and unique content on Twitter all the time and we have definitely entered our teenage years in the era of content curation on the social net. While surfing around and finding tweetable content, I like to call posts that are tweet worthy, “Tworthy.” Please forgive me for adding to the Tw lexicon, but certain sites, articles, video and Pinterest boards are certainly more tworthy than others. What’s your most tworthy post? Is your tweet retweetable? And what’s your favorite twitter related t(w)erm? Please tweet about it with the hashtag #tworthy or add a comment below. Tweet on, Tweetsters! Thanks to my host parents from Oberlin for sharing this with me via email. Old school communications still work, inspire thought, help connect and keep us thinking. If this is what the next generation of the iPhone and our world in the not so distant future looks like I’m very excited, aren’t you? How much sleep is best for you? Do you see benefits to sleeping more or sleeping less? Please share your comments below. Yesterday I replaced the batteries in my electronic tooth brush with new ones and when I turned the toothbrush on inside my mouth, I nearly swallowed the head of the brush out pure shock. I had no idea how old the previous batteries were and how ineffective they had become since the brush still seemed to work albeit rather unenergeticly. Are you feeling fine, normal, same old – same old? Is it time for you to take time to recharge your batteries? What’s your favorite way to do it? I do love teaching. I learn so much from my students and it’s so fun to teach about things that are en vogue today. 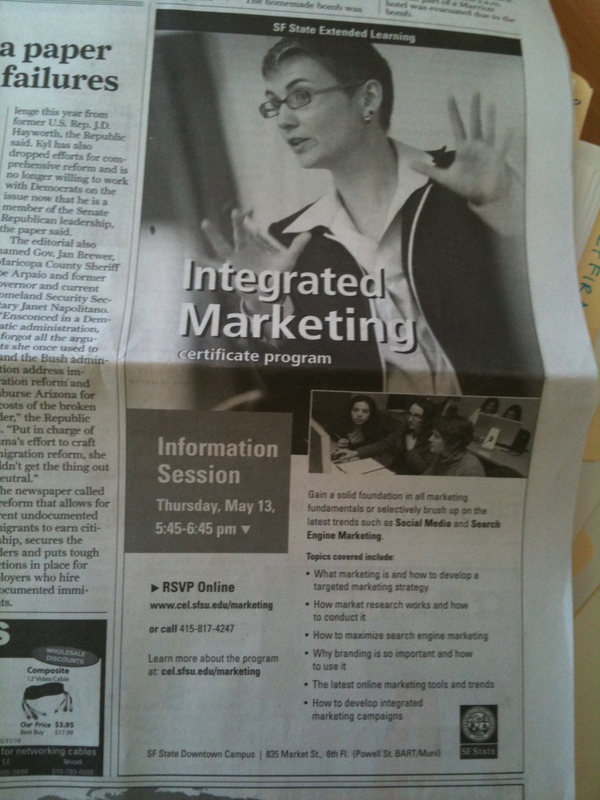 Don’t get me wrong, I believe search engine marketing and social media are where every company should be putting the majority of their marketing budgets, I just think it’s a bit ironic that the ad is in the newspaper when my classes are all about online marketing. Then again we’re promoting the Integrated Marketing Program and integrated means integrating online and offline, so as they say, “All ink is good ink,” and especially when you’re in print. Do join us at the information session on May 13th. I’ll be there in person, which is after all the absolute best way to connect socially. I’m working on a proposal for San Francisco Bay Area Water Emergency Transportation Authority and in reviewing their website, I noticed this inspiring little video about the world’s most environmentally friendly ferry that I hadn’t seen before. Yes, I get most of my news and information online, but I also listen to NPR and my ears are particularly interested in local green technology. I’m sorry I missed this video when it aired on CNN, because it is a great accomplishment for San Francisco and our beautiful bay. Have you taken the ferry lately? What do you like about it? Did you know we have the most environmentally friendly ferry in the world? For the past few years I have been a member of Kezar Road Runners, a fabulous group of runners who meet every Wednesday at Kezar Stadium in San Francisco. We do a speed workout under the direction of Coach Joe and that is a story for another post, but just know that he is one of the kindest people you’ll ever meet and the best friend you could ever have. He’s also a great coach, an accomplished runner and just an overall good guy. After Joe’s workouts, the tradition is to head over to Kezar pub for a pint or two of Guinness or your beverage of choice. It’s the best part of the evening, not only because you deserve it after the track workout, but also because you get to spend some quality time with interesting people with a variety of backgrounds and careers, but with one important thing in common: an appreciation for running. So that’s why I’m at the pub on Wednesday evenings (well as much as I can anyway.) My reason for this post however, is that I was recently invited to become a fan of Kezar Pub on Facebook. Of course I accepted the invitation because Kezar Pub rocks and it’s definitely the Cheers of San Francisco. I know the names of the bar tenders and the very appropriately Irish and as appropriately hilarious Sinead is even a Facebook friend. build a fan base BEFORE they need it so that when they do need it, they can notify their fans of events – the jello wrestling fund raisers are always fun! 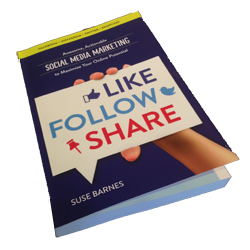 understand who their fans are and make them feel important by providing special offers – nudge nudge, wink wink, can we get a Facebook Freebie please Bridgett? 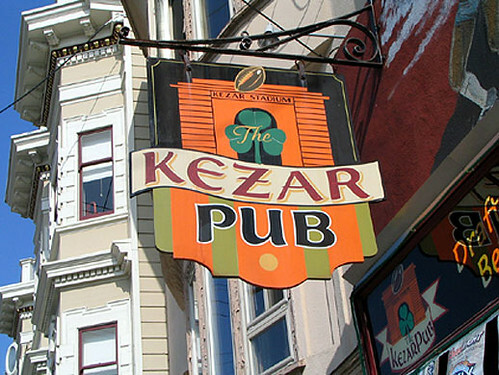 Kezar Pub should have a website, but I’m sure they don’t feel like they need one. They are a San Francisco staple for both locals and sports fans. Most importantly, they are real and a cold one always goes down well after a good workout. Welcome to Facebook, Kezar Pub! Since I’m teaching tonight at the downtown campus of SFSU CEL, I was particularly interesting in the Groupon email in my inbox this morning. The offer is for $35 worth of scrumptious Italian food at Zuppa for $15. That’s a $20 savings and in any economy, that sounds like a deal! Zuppa is on 4th Street, just around the corner from SFSU, so perhaps some of my students would like to take advantage of it for a late dinner. If you haven’t heard of Groupon, it’s worth a look because there are some great offers and because they are usually one day only you feel special if you can take advantage of one. The limited time offer is the exclusivity. The fact that the offer will only happen if enough people buy-in, i.e. want to take advantage of the offer and commit to being there is the power of the group. You see the business can only offer the special if they have enough people. With a critical mass, they are willing to make a special offer. If not enough people sign up, the deal is off. So it’s one of those win-win propositions. 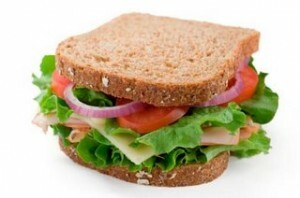 The business uses Groupon to promote business and the customers receive a special deal because they are Groupon members. Today I started reading Chris Anderson’s free FREE: The Future of a Radical Price on my free Kindle for iPhone application. I’m not very far in the book yet, but am loving the fact that I have a whole book on my phone that I have with me wherever I go, that it was free, that it’s all about how offering products and services for free CAN be and often is a means to making money and everything about the whole experience is well… freeing! I have been telling students in my classes that there is such a thing as a free lunch for a while now, beginning with the introduction of podcasts. Offering knowledge and services for free is a great way to build goodwill, get yourself noticed and build your customer base. Google is a glaring example. And have you ever paid for using Wikipedia? Chris Anderson also talks about Monty Python who were disgruntled by the fact that so many of their videos were being shown on YouTube without their permission. They decided to create their own channel of clips with much better quality and asked their fans to just buy their videos, DVDs and other merchandise. The result? After the three month experiment giving away the high quality clips, sales had increased 23,000 percent! Wow!